The INOX Universal Multipoint Series contains an innovative framework hidden beneath its trim, with an adjustable thru-bolt distance. After nearly two years of development and testing to create an elegant solution, our new Universal Multipoint Series offers numerous design options that each fit as though they were custom made. Every manufacturer’s multipoint swing-door system is unique in terms of the placement of its bolts and through-holes, so installing a different trim often requires drilling new holes into the door and potentially voiding the manufacturer’s warranty. 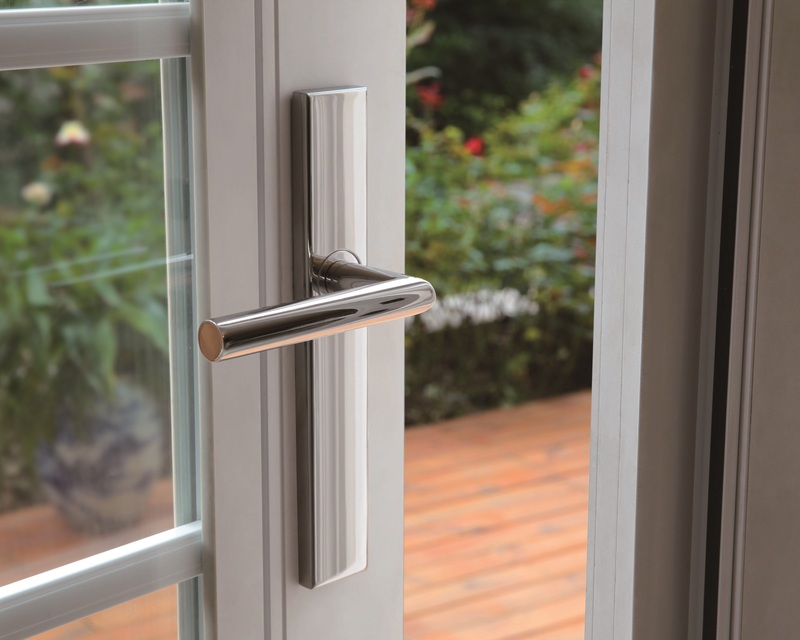 INOX® addresses this challenge with its new Universal Multipoint Series, which is a trim solution designed to fit 95% of multipoint locking systems for swing doors by major door manufacturers. The INOX Universal Multipoint Series contains an innovative framework hidden beneath its trim, with an adjustable thru-bolt distance that accommodates almost every door prep configuration. It can shift placement up to 1.5 inches on the top and up to 2 inches on the bottom, and includes a unique triple-spring support to reduce lever sag over time. The multipoint trim features stainless steel sub-plates, bolt sleeves, a compression fitting and double spring mechanism to keep bolts in place, as well as a waterproof seal on all exterior escutcheons. All of this technology has been streamlined to fit inside a housing with a hidden chassis and concealed fixing, and can be easily mounted without a single screw head showing once installed. Euro and U.S. keyed cylinder options are available, as well as the ability to retrofit existing keyed cylinders. This series offers 26 modern and transitional handle designs, as well as four designer finishes for escutcheon plates and levers—Bright Polished Stainless Steel, Satin Stainless Steel, Two-tone Stainless Steel and Oil Rubbed Bronze—and four ceramic-coating finishes, including Graphite Black, Flat Black, White and Grey. For more information about INOX and the new Universal Multipoint Series, please visit http://www.inoxproducts.com. 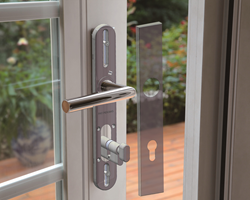 INOX’s new patent-pending Universal Multipoint Series is a trim solution designed to fit 95% of multipoint locking systems for swing doors by major door manufacturers.